"I've been running regularly for three months now and I still haven't felt a runner's high. Does it really exist?" Although some runners have yet to experience it, some research does show that the runner's high, or that euphoric, calm state reached at the end of a run, does exist. Researchers in Germany used brain imaging to actually track the increased release of endorphins—those feel-good hormones—in runners' brains during a two-hour running session. But there isn't necessarily a magic distance or length of time you need to be running to get a runner's high. The answer is similar to the question of, "When does running get easier?" in that it's different for every runner. Some runners may feel a runner’s high after their first 30-minute continuous run, while others may not have ever felt it during years of running. And, once you experience it, that doesn't mean you'll feel that way after every run -- you could go a long time before it happens again. Can You Increase Your Chances of Feeling a Runner's High? So, is there a way to "force" a runner's high? If you always run the same distance and pace, you may need to switch things up and bump up your effort a little to start releasing those feel-good endorphins. Try mixing it up by doing a fartlek run or increasing your distance to see if that makes a difference. Running outside, with all the stimuli for your senses, definitely increases your chances of achieving a runner's high, as many treadmill runners can attest to. Some runners practice mindfulness during their runs to help themselves feel calm during and after their runs. Running with a group or a buddy may also help. One study from Oxford found reported that rowers who exercised together significantly increased their endorphin release compared with those rowing by themselves. If you're running by yourself, you may want to listen to music. Research shows that listening to your favorite music may spike endorphins. You may want to sign up for a local road race if you've never done one before. Sometimes it takes pushing yourself to your limits or the thrill of crossing the finish line for runners to really experience that sense of euphoria. If you've already done a race, pick one that's a new distance for you or in a new location, so you'll experience something different. 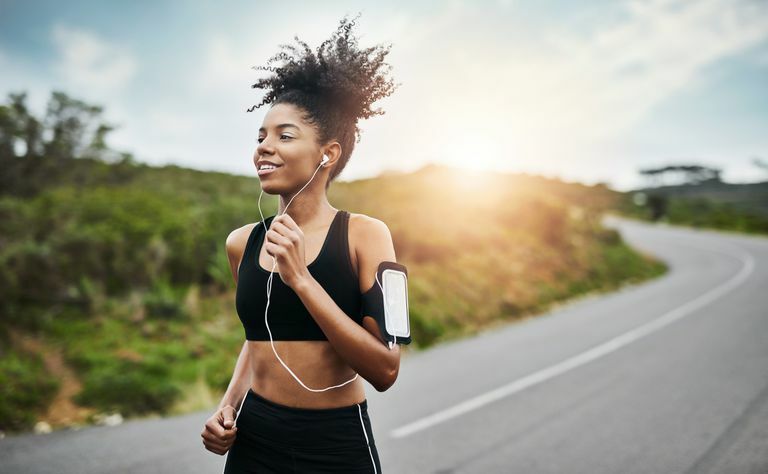 And, remember that even if you don't feel a runner's high, you're still getting plenty of other benefits—from stress relief to better self-esteem to improved cardiovascular health.